103 Cannon Street - iNGLEBY TRICE. 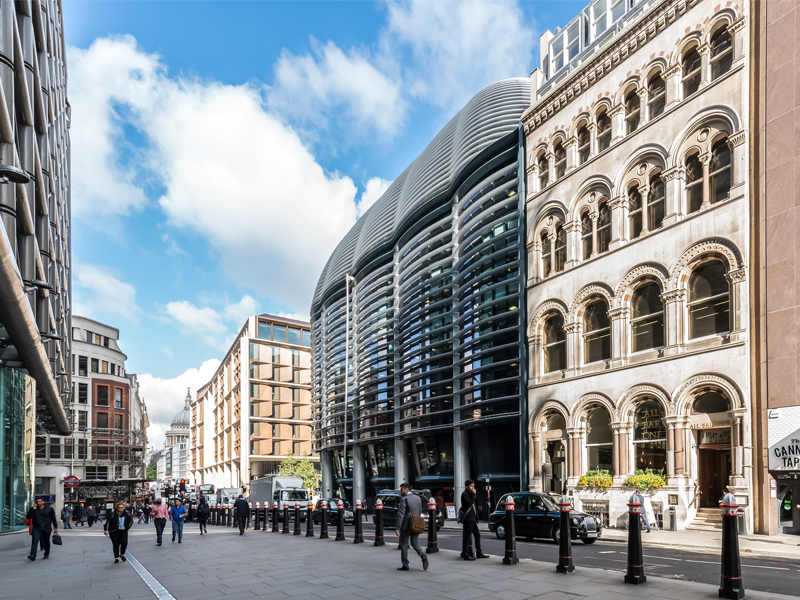 The building is located opposite Cannon Street station and is next door to the new Bloomberg headquarters. Bank, Mansion House, Monument and London Bridge stations are all a short walking distance away. The 1st floor benefits from a high quality, mainly open plan fit out and an extremely good floor to ceiling height which creates volume and light throughout the floor.